“Hub and spoke” refers to a way of travelling that involves basing yourself in one city for a week or more, and exploring the surrounding areas on various day trips. Great hub cities can be found on virtually every continent. Savings on the cost of accommodation as you can often negotiate the hotel price down if you stay for a week and pay in advance. Many AirBnB hosts also offer a discount for a stay of a week or more. Or if you can find a house-sit in that city, your accommodation is free! You could alternate days in the hub city with days exploring the surrounding areas. Take a look at the following seven cities along with a few day trips you can easily take from each. Brussels is a small capital city in a small country. 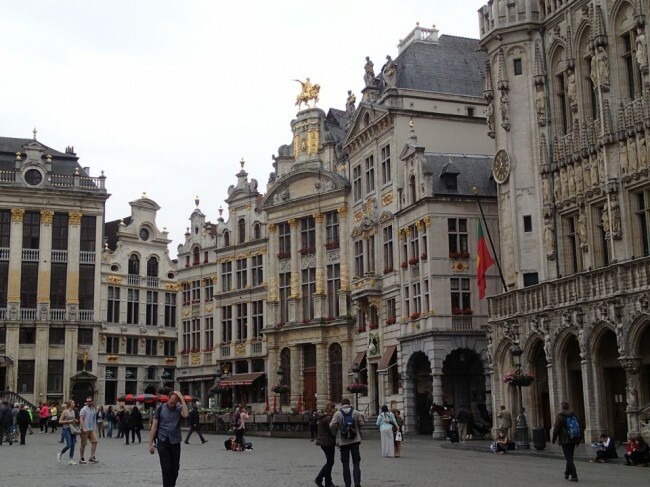 Admire Grand Place, visit a few quirky museums, photograph the comic strip murals, and sample local beers and chocolates. Not only does the city have tons of things to see and do (two days in Brussels isn’t enough), but many other gorgeous towns and villages are only a short train ride away. Ghent is a lovely town with medieval architecture that is surprisingly under most tourists’ radar. Intercity trains leave every 15 minutes or so for Ghent and take only 37 minutes. You could also visit Antwerp, a midsize port city known for its fashion, entertainment and art scene (Rubens lived here) in addition to stunning medieval and Renaissance architecture. You can get to Antwerp by train in as little as 42 minutes. Fairytale Bruges, with its enchanting canals and architecture can also be reached in slightly over an hour. This one is not a secret, so expect crowds. You could visit many other small towns. In fact, most of Belgium can be visited on day trips from Brussels! See for more ideas. Lisbon is another underrated small European capital, this time in the south of Europe, with the lowest prices in Western Europe. 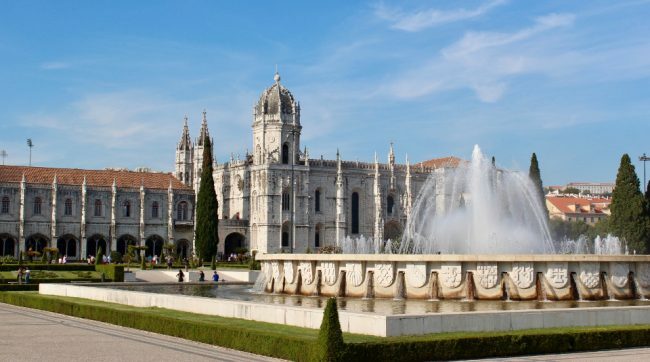 Explore the labyrinthine Alfama quarter, listen to fado, and visit the suburb of Belem where you’ll find Manueline architecture from the Age of Discoveries, and melt-in-your-mouth egg custard tarts. When you’re ready to get out of town, consider the following popular day trips. Although only 40 minutes by train from Lisbon, Sintra has several attractions and warrants a full-day trip. Up on a hill you’ll find a Disneyesque castle on steroids (Pálacio National da Pena), and the ramparts of an old Moorish castle providing breathtaking views over the countryside. A bus will take you up, or you could walk. Cascais and Estoril are two beach resort towns on the Atlantic Coast, only two kilometres apart. Cascais is livelier, owing to its roots as an old fishing village. Estoril doesn’t have much beyond its beach and casino, which allegedly inspired Ian Fleming’s Casino Royale. A bus from Lisbon will deliver you here in 40 minutes. Óbidos is a gorgeous pedestrian walled town on a hilltop. 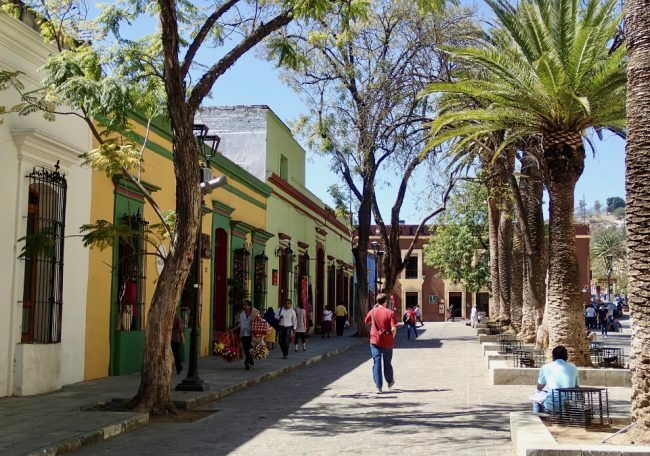 Spend the day strolling its cobblestone streets lined by whitewashed houses, shops, and restaurants. Taste the local cherry liquor, served in little chocolate cups. A bus from Lisbon takes between one and 1.5 hour and leaves you just outside the wall. You could spend weeks in Oaxaca and not get bored. 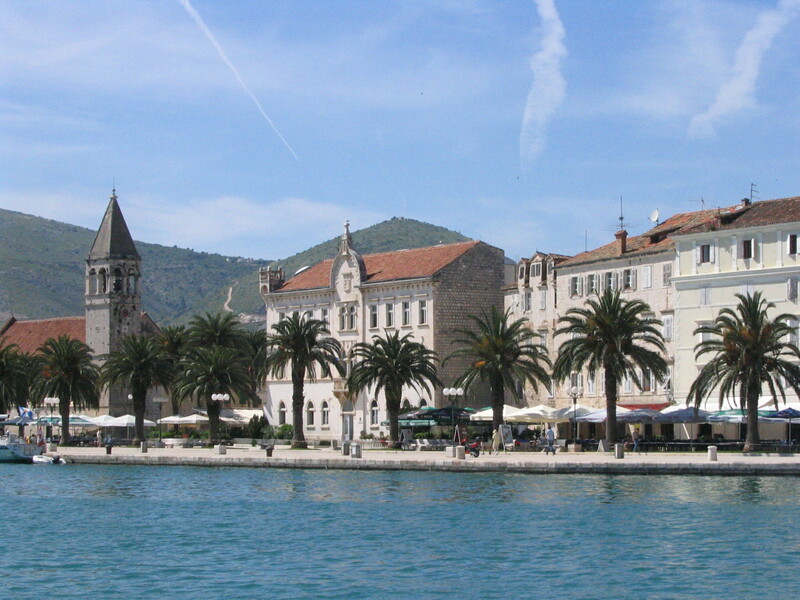 The lively town centre is replete with colourful colonial architecture, museums, art galleries, and handicraft shops. You can attend events almost every day, from concerts, to movies, to exhibitions. And let’s not forget the food, which makes Oaxaca one of the top foodie regions in Mexico. I don’t think I have ever seen a city with so many possibilities for day trips. In the valleys around Oaxaca, you will find villages that host markets on different days of the weeks, artisan workshops, mezcal factories, and ruins of pre-hispanic civilizations. 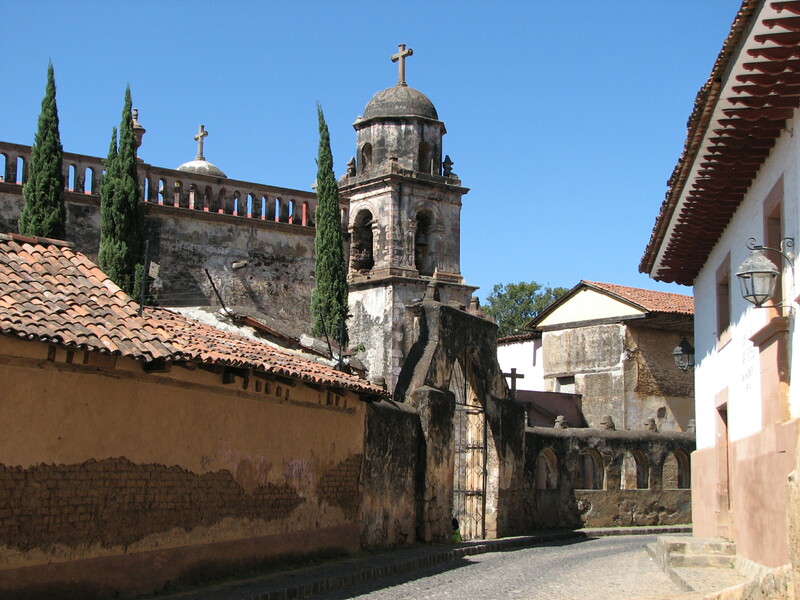 Villages specialize in different crafts, such as Teotitlán del Valle for carpet weaving, and San Bartolo Coyotepec for black pottery. See this post for a few more ideas of day trips to take in Oaxaca’s central valleys. You can also visit pre-hispanic archeological sites, such as Monte Alban and Mitla. Many of these sites can be visited on half-day or full-day tours organized through agencies in Oaxaca.This saves you the trouble of having to find your own transport, and provides you with the services of an English-speaking guide. If you like hiking, the surrounding mountains present lots of opportunities, although they may be a little difficult to find on your own. Fortunately, Hoofing it in Oaxaca, a small not-for-profit company run by an expat, provides transportation and guided hikes weekly to a variety of locations for very cheap rates (November to March only). Buddhist temples, quiet gardens, imperial palaces, and geishas: Kyoto is classical Japan at its best. With only 1.5 millions inhabitants, it’s much less intimidating than megapolis Tokyo. And Kyoto offers a wide range of food (Japanese and foreign) with many of its restaurants located in traditional wooden buildings. 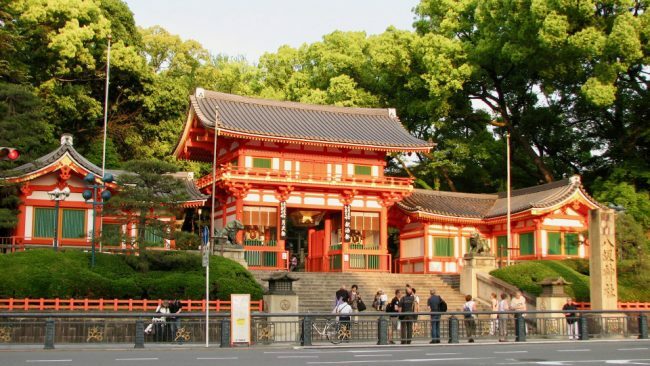 Osaka is Japan’s second largest city and offers great food, an impressive aquarium, and Osaka castle (also a famous cherry blossom watching spot in season) among other attractions. You can get to Osaka in 12 minutes on the bullet train, or 23 minutes on the cheaper “Special Rapid Service”. Nara was Japan’s first permanent capital, a peaceful town known for its 49-foot tall bronze Buddha statue, many temples, and free-roaming deers. Todaiji Temple’s main hall is considered the largest wooden building in the world. Nara is less than one hour by train from Kyoto. Himeji Castle is arguably the most impressive castle remaining from the feudal era (dating from 1333), with its elegant multi-level corniced roofs and whitewashed walls. You will need at least a few hours to visit the castle and gardens. You can make it here from Kyoto in 55 minutes on the bullet train. Here are more ideas for day trips from Kyoto. 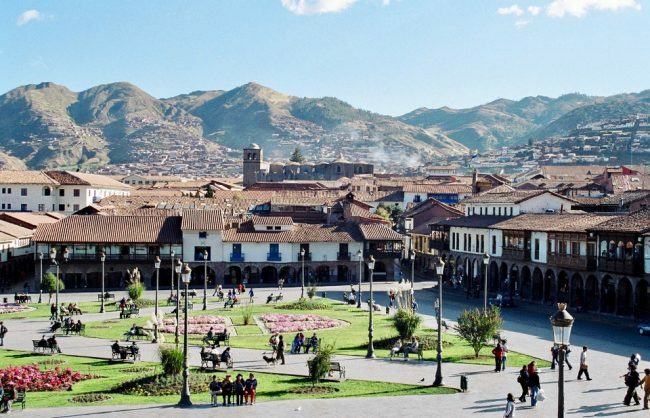 The capital of the Incas, Cusco is as intriguing and beautiful as you would expect, with Christian churches built atop old Inca temples, and other splendid Spanish colonial buildings lining its cobblestone streets. It’s also one of the best places for Peruvian food outside of Lima. Machu Picchu deserves an overnight, but here are other archeological sites and villages that you could comfortably visit on a day trip. Pisac is a quiet rural Andean village in the Sacred Valley, which perks up on Sunday mornings when the famous market takes over. Locals in traditional dress and tourists mingle in this weekly produce and handicraft market. Don’t forget to check out the hilltop Inca citadel. Cheap local buses reach Pisac in about an hour. The Sacsayhuaman Archeological Park is the most impressive ruin near Cuzco. In fact it’s so close that you can get there on foot in 20 to 40 minutes if you don’t mind a steep climb. Of both religious and military significance, the site was built by the Inca in the 13th century to protect the city. The irregular stones join together perfectly and some of them are huge! Tambo Machay, Puca Pucara, and Qenko are smaller ruins located a little further away and higher than Sacsayhuaman. You can take a bus toward Pisac (or a taxi), get off at Tambo Machay and walk back the 8 kilometres downhill to Cuzco, visiting all four sites along the way. 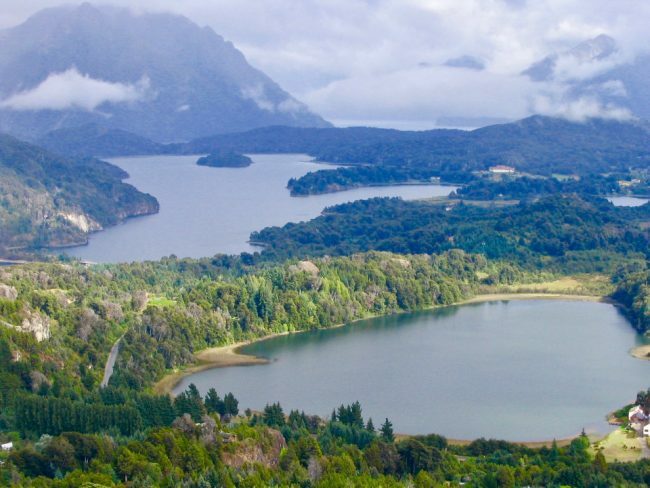 Located in the Lake District of Argentina, by a lake at the foot of the Andes, Bariloche has the feel of a rustic holiday town with its chalet-style chocolate shops and fondue restaurants. The city itself is pleasant and offers a few museums, but it’s the surrounding countryside that’s the real attraction. Deep blue lakes and rivers, green forests, and snow capped mountains make this region a hiker’s paradise. Ride the bus 45-minute west of town to Llao Llao, a charming area with gorgeous views and several walks. Or if you’re feeling lazy, just go for tea on the terrace of the namesake hotel. On the way to Llao Llao, you can also take a chairlift up to Cerro Campanario for superb views. Cerro Otto and Cerro Catedral also have cable cars (the latter is a ski resort in winter). You can also climb Cerro Otto on foot, or have a meal at the revolving restaurant at the top. You can hike atop both mountains. You could ride a bike for 60 kilometres around lake Moreno Oeste, or go on a day tour to the Tronador glaciers. Take a boat across the lake to Isla Victoria to walk in its forest of Arrayanes trees which have to be seen to be believed. I call them “magic forest” trees because they look straight out of a fairytale. Cape Town enjoys a stunning setting at the southern tip of Africa where the South Atlantic and Indian Oceans meet. Iconic Table Mountain stands at its centre, while a European-style waterfront looks across the water to Robben Island where Mandela was imprisoned. 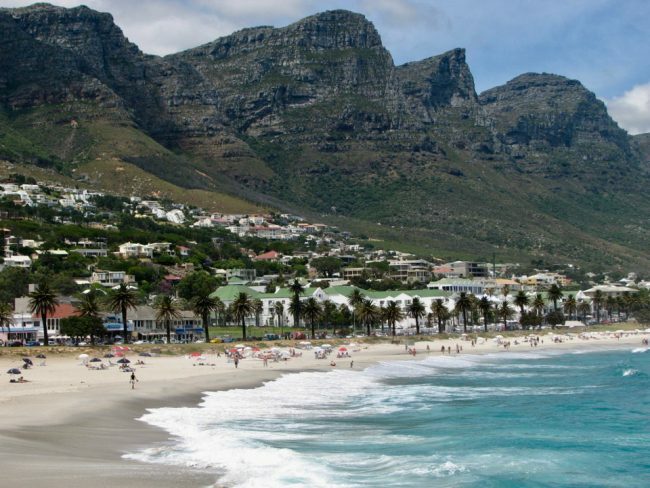 On the other side of town, the golden sand beaches of Camps Bay are backed by craggy mountains (the Twelve Apostles). There is a lot to see and do in Cape Town, and then still more to explore outside of town. On the other side of the peninsula, False Bay has warmer water and a string of seaside village-like suburbs with names like Kalk Bay, Fish Hoek, and Muizenberg. They are conveniently served by a metrorail link, and located about an hour from Cape Town. Boulder Beach, about 50 kilometres from Cape Town, is very popular for its colony of African penguins and is often a stop on organized tours of the Cape Peninsula. You can also take the train to Simon’s Town and walk 3 kilometres, or take a taxi to the beach. On the Cape Peninsula, Cape Point is hailed as the southernmost tip of Africa (but this is not quite true as the real tip is 300 kms away). It’s a dramatic spot nonetheless and worth the trip. And then there are the Winelands, less than an hour from Cape Town, with four different settlements, each with its own wine route. Wineries in this part of the world are very generous with their samples! The landscapes are amazing, with the vineyards backed against craggy mountains. Several companies offer day tours out of Cape Town. These seven hub cities are all places I visited and enjoyed, but they’re only a starting point. There are hundreds of cities that could make good hubs all over the world. Other ideas for hub cities are: Santiago (Chile), Auckland (New Zealand), San Francisco (USA), even my home town of Toronto in Canada (more on this one later). Do you know of another good hub city?